At the beginning of the year I do a variety of one on one assessments with my students so I can get to know them better as a learner and to help me plan my lessons and centers. Sight word assessments are a quick way to figure out which words or word patterns your students are struggling with. In the past I used a paper checklist and either flash cards or just a list of words that my students would read from. When I was finished with all of the sight word assessments I would have to grade the checklists and search through all the papers to figure out which sight words most of the students found challenging. I have been using Google Forms a lot lately in order to save myself time and to stream line my assessments. That's why I decided that it was the perfect tool to use for my digital sight word assessments. When I thought about how to set it up, I knew that I wanted my students to have quick access to the words. 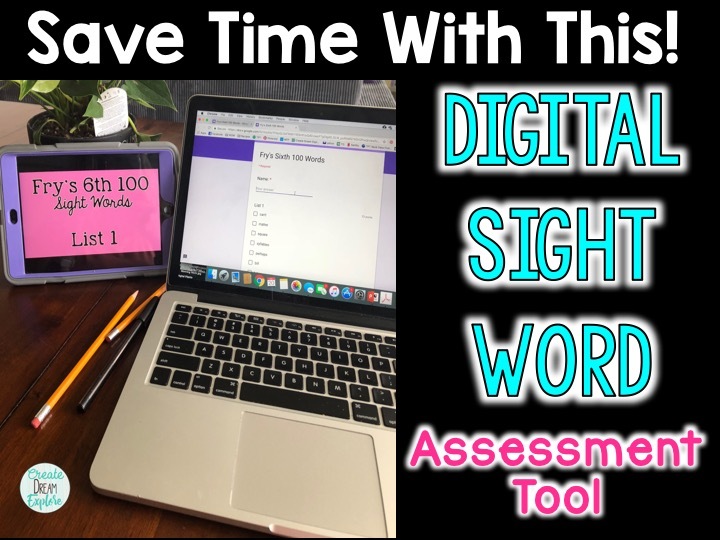 So I created a Google Slide deck with all of the sight words for students to flip through (like flash cards basically but digital) and then I made a corresponding digital checklist with all of the sight words. This way as they student flips through the words I can use my device to check off when they get the words correct. In the end, the form grades itself and then produces a graph that will tell me how many students struggled with a particular sight word. 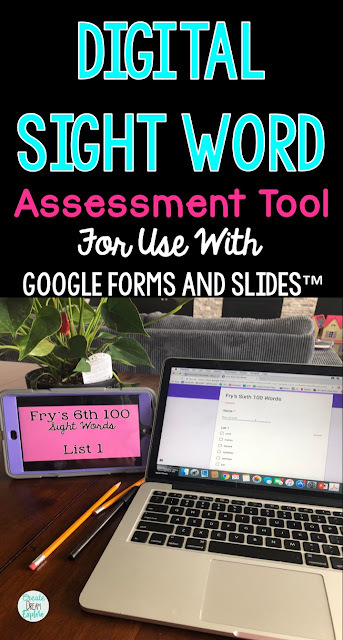 When I was teaching primary I used the Dolch lists and now that I am teaching grades 3-5 I use the Fry 1000 sight words list because they include more challenging words. I decided to include both the Dolch lists and the Fry lists in this resource because I know that within a classroom you will have a range of ability levels so this will give you more flexibility. Don't forget to join our great community on facebook for 3rd to 5th grade teachers. Click here to join! By signing up you will receive our newsletter that includes teaching ideas, tips, blog updates, promotions and exclusive FREE resources! My name is Heidi. 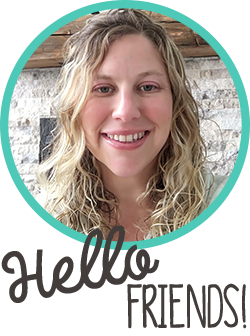 I began this blog as a way to share my ideas and resources with my fellow educators. I've been in the trenches for over 12 years (all in elementary education) and I'm a mom to 3 beauties and have a wonderfully supportive husband! I understand how precious your time is so I hope you're able to find some ideas here to take back to your classroom.